“Be honest about who you are, flaws and all. You never know who you are inspiring just by being you” Mandy Hale. Hi, I’m Tammy Logan, I’ve spent my whole life in Gippsland except for a few years in Melbourne to study. My husband has also lived his whole life in Gippsland and together we have two children aged eight and ten (as of 2019). I’ve always taken steps to reduce my environmental footprint and my entire working life has been in the sustainability sector, but in 2014 a feeling began to grow inside me that it wasn’t enough anymore and that I needed to work harder to make a difference. It was important for me to be the environmentalist I hoped my children would be. I didn’t know how to satisfy this feeling because I thought I was already doing everything within my means. But then in early 2015 I found the Plastic Free July Challenge – to refuse all single-use plastic for one month. The idea instantly appealed to me because it was something I could do without spending large amounts of money and it wasn’t going to take me away from my home or family. It was really just about changing the way I shop (or so I thought), yet it could make a huge difference to my family’s environmental footprint. I’d also attended a presentation six months earlier at my work on the problem of plastic in the ocean and was shocked by how bad the problem was. It felt like I was meant to be at this point in my life so I started the plastic free challenge immediately – a month early – and couldn’t stop when the challenge ended. Completing the challenge has been one of the most positive things I’ve ever done. It has revealed to me that I do have choices and I do have power to effect change. 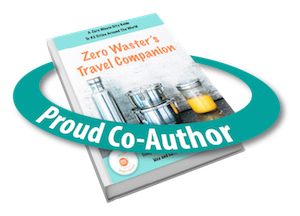 During the challenge I also became aware that it was possible to pursue a zero waste lifestyle as I was finding many of my plastic free solutions involved no waste at all. I decided to work towards reducing all my waste. We’ve had great success at this and I’m very proud of our achievements given we live in a rural area and not a city with easy access to bulk and specialty stores. For most things that I can’t find unpackaged or plastic free, I make or go without. Over time I have found a solution to almost all our needs and we don’t feel like we are going without. Learning how to do things differently from the norm of consumerism and convenience has been the most time consuming aspect of pursuing a zero waste lifestyle but also very satisfying. Most things turn out to be very easy once you know what you are doing. I’ve come to believe that food is something we need to value and make more time for. We need to slow down and be more mindful of the impacts of our choices. If we continue to focus on convenience and the cheapest option we will continue to damage our health, animals and the environment. I didn’t start this lifestyle because I had lots of spare time; I made specific decisions about how I wanted to lead my life and guide my family to better reflect my values. I’m so glad I’ve done it because the rewards have been more than I expected. We’ve improved our health, saved money, bought more local and ethical products and produce, learnt to make things from scratch, wasted less overall, and educated ourselves and others. I’ve been enthused by how far my not-so-eco-conscious family has come on this journey with me, and it’s because there is so much to be gained. I think the key to our success as a family is that we allow each individual to have their own thoughts and values and encourage good decision making rather than dictating what one must think and feel and do. And, really, striving for plastic free and zero waste living is about careful and intentional consumption. It’s a way of protesting against a wasteful society and saying we can do better. If we all make better choices as often as possible, we can make a huge difference with our individual actions. 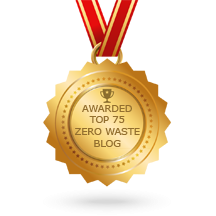 In this blog I share how we significantly reduce our waste and other ways of practicing sustainability. Please take some time to look around and leave comments, as I hope our experiences give you the opportunity to learn from us and that we can learn from you too. I would love to hear about your experiences, learnings, and insights. Gippsland Unwrapped is also about giving you choices. In Gippsland, we have challenges related to living in small geographically dispersed communities, so if this is you, I hope to help you over come those. Of course, it’s all still applicable to city folk wanting to reduce their waste too. Why the name Gippsland Unwrapped? Well, local living and community are very important to me for environmental, social and health reasons. Gippsland is my place. I’m connected to the people and environment here and so my blog name represents the importance of living local to live sustainably. The Unwrapped aspect of my blog name obviously refers to avoiding packaging but also to revealing sustainable solutions. Together I believe we can make a difference and I hope that you will see that a waste free life is about gaining fulfilment, not giving it up. I think this is the best blog I have seen yet and I dont usually read blogs but your Loo paper drew me in…The plastic is good….Not easy but is anything? You obviously have a passion and I look forward to reading more about you and your family. Thank you so much, I’m very pleased to have your support. I love your blog but you can’t say in one sentence ‘caring for animals’ and in the next talk of ‘going fishing’ – that is a contradiction; like reading bedtime stories to children about the wonderful animals and then putting their dead fled on a plate for them to eat. What contradictions we feed young minds! Thanks Valerie. I respect you opinion but I disagree that it’s a contradiction. Being in nature as a child and participating in activities like fishing led me to think about questions like ‘Why are we fishing in this spot? What sort of fish lives here, why? Why is the river behaving like that and what is the impact? Why do small fish go back into the river? What happens if we take too many fish? What do fish eat? What eats fish? What would it be like to live under water? How is that possible? What impact does the weather have on the river? When things get added to the water what happens to the fish? When things are taken from the water what is the impact on the fish?’ This kind of thinking never ends when you are immersed in nature based activities. The answers to these seemingly simple questions are invaluable scientific learnings about how the world works and how we fit in with other species. You learn about species conservation and develop a deep respect for your food sources. Fish have immense value to me and I am emotionally connected through these experiences, this makes me want to protect the species and the environments they need to survive. I can catch and eat only what I need for a meal without over exploiting the resource. I think our difference of opinion might come about because I am thinking on an ecosystem/landscape level and you are thinking of the individual animal and what it feels. I know I’m making assumptions here but I agree that the circumstances in which many animals live and die to feed most humans is not ideal. This is the result of people being too far removed from their food sources and leaving it in the hands of someone else. There is no emotional connection, therefore it has no value and the animal and it’s environment are uncared for. There’s more than one way to approach environmentalism – which is appropriate given the complexities of the natural world and the many layers under which species thrive. Hi Kath, we have a regular toilet connected to a septic tank system. The farm house we have moved to is not owned by us so we are a little limited with these sorts of things. We’re completely on tank water though so have to manage our water well – including “letting it mellow if it’s yellow”. At our old house we had a secondary treatment septic system which disperses the grey water on site. I think composting loos are a great idea! Also, I got installed at my kids kindergarten a toilet suite with an integrated hand basin and cistern – they save heaps of water. I am so inspired by your blog Tammy. We live in the Melbourne suburbs with our three kids (2, 3 and 4), and we are about to embark on a plan to turn our tiny yard into a productive little farm and drastically reduce our waste. Thank you for sharing your experiences, I can’t wait to put more of your ideas into action! I love this! Keep me posted with how it goes. I love growing things and spending time in the garden. I’m a bit sad that when we moved I left behind an orchard that had finally become pretty productive and all my herbs and vegetables. I’m working away at things here but fruit trees take time – it all takes time and money but it’s so worth it when it comes together. Good luck with it all. Would you be willing to post some information about your cutlery keeper you have in your glove box (from the post “5 key reusables you shouldn’t be leaving home without”)? I’m planning to make a similar kit to keep in my handbag, but I’d love some advice on why you constructed yours in the manner you did. It looks great and fulfills a common need for my family. Thanks and love your blog! Love your blog, Tammy. Came across it via a Facebook share, so I guess this was meant to be. Looking forward to reading your stuff past, present and future. Can’t help but think you could reduce your waste 10 fold or more by not consuming meat and dairy. Those industries alone are far more responsible for the state of decay on this planet than any plastic industry. I love what you are doing, and think its great that you are inspiring others, but i find it almost a waste of time given how much more you could be doing for far less effort than what you go through. The water you could save, the rainforests, the list is vast. If you truly wanted to reduce your waste and impact on the planet, it is so easy. I think the information that is coming to light about plastics could mean that this industry does in fact rival agriculture’s impact on the environment. Population growth is the biggest threat to this planet, not agriculture, but very few people do anything about this, even though that would require very little effort. Plus I do not subscribe to the idea that any effort anyone makes in regards to sustainability is a waste of time. I am sure that there are many vegans who think their job is done at being a vegan and do very little else to live sustainably – they could shop and consume like crazy, supporting capitalism which is the main driver of our problems. Having had a lifelong interest in nature and studying biology and ecology I am at peace with my omnivorous status and I do believe there are ethical ways to include animal products in our diet. There are different ways of farming and I do not agree with the industrialisation of animals, and the push to get bigger and produce more (capitalism) , so we try not to consume a lot of animal products and are working towards being responsible for this ourselves. True farmers, not business managers, have a deep connection with animals and the land and want to care for them as best they can. It’s unfortunate that so many in the world today are so disconnected from their food sources that they consume with little regard for how it is made. I also saw some popular science articles reporting on research that found a direct swap to a vegetarian or vegan diet would actually create more of an environmental impact because you have to consume more fruits and veg to get the same calories. It was the same even if you reduced the amount of calories you consumed. My point is that the answer isn’t always so straight forward and a multi-pronged approach is needed. I actually think we need to focus on developing a new economy more than anything else, and that’s why I’m working on ways of living outside of this system. I think a whole lot of things will fall into place if we do this. I never knock anyone about where they choose to start their sustainability journey. Everyone has a different ‘hook’ which can be grown upon over time. Hit the nail on the head about the population explosion we are experiencing… over doubled in less than 50 years. That and capitalism push up the agriculture issues, making them symptoms of the bigger problem. There is no one right way to live sustainably. The changes we are able/willing to make are dependant on our life situation, education, peronality etc. We should all support each other to make changes that conserve resources, even if their priorities/rationale differ form ours. In Gippsland meat may well be an eco choice, given low input farming and close proximity of consumer to product. You might also want to look up the Bulk app by Zero Waste Home. I’m not sure if it will work for you, it’s under development and I can’t get it to work for me. Thanks for your comment Kath. I feel the same a lot of the time. So many people do know the consequences but just don’t care enough to change behaviours. We must keep chipping away. Hi! So happy to have found your website. 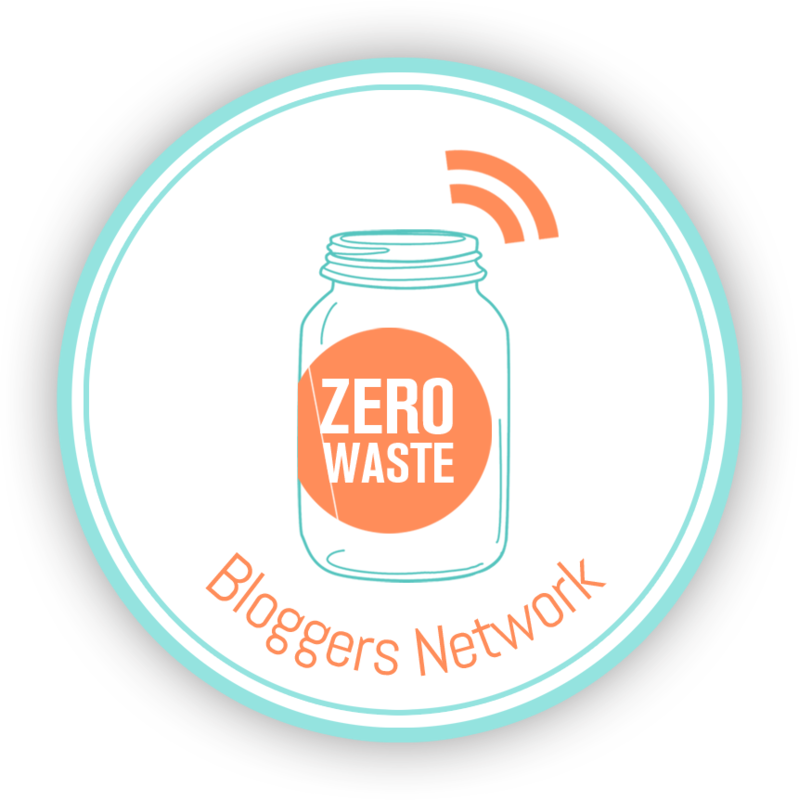 I’m a newbie to the zero waste idea and hoping to start implementing some changes asap. I’m actually pretty wasteful at the moment so I expect to see a lot of room for improvement. We are in rural Victoria also, but have family on Gippsland so was happy to connect. This is a great site packed with practical advice. Thanks so much for your ideas. I am working to reduce the amount of single use plastic in our lives, and you have inspired me! SUPER EXCITED TO FIND YOU !! I live in Gippsland also. Not too far from you. Devon North. I am trying to change to zero waste but am finding it very hard to find unpackaged food items. I will be devouring every morsel of information I can get from you ! Have subscribed here also “following” on instagram & “liked” on facebook. Stalker much !! Lovely to find an Aussie pioneering this way of life. Relateable and easy to follow. Thank you. I live in Gippsland too. Would love to get together and learn from you. Loved all you had to say find im definately getting the pegs.